"I've been working with Chamberland for several years and have found them to be excellent. They have consistently found me great tenants and are proactive and helpful with anything that I need. I've worked with every member of team at one point"
"A dynamic team headed up by Nicole, Liz is outstanding on the administration and the staff are always so polite and helpful, nothing seems too much trouble." "Nicole and her team provide an extremely high quality service. They go the extra mile to get the job done efficiently. Very hardworking team." 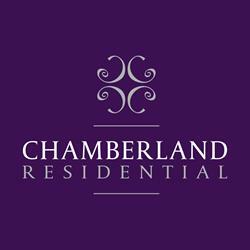 "I can not recommend Chamberland Residential highly enough"
"As Landlords, we have used Chamberland Residential to let our 3 studios ever since they first opened up in Putney. We have always found their service to be excellent, far exceeding the service received from any of the other Putney agents that we used in the past. They have a very personal touch and, even though they do not manage our properties, if we have a problem that we cannot deal with ourselves they are always happy to help." "Chamberland Residential handled a potentially sensitive agency transfer, with a tenant in-situ, with great efficiency and diplomacy. Additionally they accepted some specific requests regarding the in-situ tenant, who is a long-standing and reliable one whom I was keen to retain long-term. Overall Chamberland Residential have shown themselves to be very client-orientated, approachable, and available. I wouldn't hesitate to recommend them to any other landlords." "Zoe has been incredibly helpful to me as an overseas based landlord throughout the time I've had my property with Chamberland. Zoe and the rest of the staff are friendly, accommodating and approachable. Highly recommended and very competitive in the market. 5 star service"
"This agent has been really on the ball. As a landlord to know that your best interest are always carefully monitored is of vital importance. Their understanding of the legalities of the industry is excellent, and their prompt responses to email's makes them a delight to work with! Outstanding agency." "I am very happy with Chamberland Residential in general. I pay for their premium client service which is exactly what I get. They are proactive, professional, on the ball and a pleasure to deal with." "In short, a consistently strong and impressive performance by this dynamic letting agent." Well, we did it again....winning the Gold award at the ESTA's 2016 for Best Letting Agent London (South). We couldn't be more proud of this achievement, especially as its our 5th award (and third Gold) in as many years. As many of you may already know, the ESTA's are a very special award because they are voted for solely by our clients, our harshest critics...not a panel of industry judges who have never met us. We couldn't be happier with the outcome as this year the competition was at an all time high. Each team member works tirelessly all year to stand out from all the other agents, offering a unique and personal customer service that's unlike any others in the area. To be bestowed with this honour is not only gratifying but shows hard work and real customer service pays off. A Big thank you to all our clients who took the time to vote for us this year...we're nothing without you! We wanted it and we got it!! Our second Gold award was given to us by the dashing Phil Spencer in April 2015 at the ESTA awards, held for the last time at the Hilton Park Lane Hotel. Over 350 agents attended the prestigious awards ceremony and we couldn't be more pleased. Here's to a 5th year win in 2016! Chamberland Residential did it again! We took home the Silver award at the ESTA's 2014 for Best Letting Agent, London (South)!! We had over 100 landlord's vote for us this year, but competition was fierce and it we were so proud to do it again! Gold next year at the 2015 awards though...! Chamberland Residential is proud to announce winning GOLD for the ESTA’s 2013! This nationally recognized awards ceremony for our industry is most coveted as we are purely voted on by our Landlords. Out of over 200 agents, we were shortlisted down to 10 in the London (South) category and we graciously accepted the top award on the 16th April 2013 with Phil Spencer. Here’s to keeping our reign in 2014! After only trading for one year, Chamberland Residential had the pleasure of accepting the Bronze award for the Estas, 2012. This meant all the more to us, being so new and literally only having our first year of clients to vote for us. With all the voting based on our customer service, it was such a joy to know we were on the right track, especially with the incredible amount of competition in our area.